With video arcades dwindling thanks to the rise of the home console, pinball is becoming somewhat of a lost art. What used to be a gaming staple is now a novelty for enthusiasts. Thanks to Zen Studios, the classic feel of a pinball game is alive with aplomb on modern consoles. Now with a solid stable of Zen Pinball tables in their wake, the nostalgic development team coupled the Star Wars brand’s legendary status with their proven pinball mechanics. The result is an addictive brew that begs to be enjoyed again and again; you just don’t want to play it on the Nintendo 3DS. Star Wars Pinball includes three entertaining tables that dare you to complete their numerous objectives. But before you make a run at any of them, the game asks you to pick a side: Light or Dark. This influences the “Balance of the Force,” a persistent online struggle between the two factions fueled by the top scores of each of its members. It’s a great spin on leaderboards, offering up a unique incentive to beat your high score. This is especially true since your contribution to the Balance of the Force consists solely of your highest score on each table – not a culmination of all of your playtime. Nothing but your best will do. [singlepic id=16331 w=320 h=240 float=left]Unfortunately, this is where the first crippling problem with the Nintendo 3DS version of Star Wars Pinball rears its head. With WiFi connectivity enabled on your handheld, this game has a habit of crashing – a lot. You may be able to get all the way to a table if you act quickly, but if you haven’t turned off your Internet connection, the game will soon crash and the 3DS system will reboot. I did get a game or two in before experiencing my first problem, but since then, the game has consistently crashed every time – within roughly a minute – unless I remembered to disable WiFi functionality. If forum complaints are any indication, you simply can’t play Star Wars Pinball on the 3DS while enjoying any of its online integration. The developers are apparently aware of the issue, but as of this review, it has not been fixed. In the meantime, the lack of online functionality does nothing to impede on the enjoyment of the three excellent tables included with the game. That task is instead accomplished by physical limitations of the Nintendo 3DS platform. On the standard model of the handheld, the upper screen is simply too small to properly contain a pinball table, or even an effective portion of it. There are eight different viewing options to select from that change the behavior of the automatic panning and zooming features; while some improve the experience, none ever feel like they solve the problem. When grouped with the system’s low screen resolution and the pixelated textures, you may find yourself squinting closely at the screen in an attempt to discern the details of the table and track the ball. Since this often requires you to hold the unit close to your eyes – past the optimal distance for 3D viewing – the 3D effect on the Nintendo 3DS is nearly useless and is best disabled outright. It’s not just about aesthetics; the visual inadequacies do make Star Wars Pinball a lot less fun to play on this platform, and the differences are jarring when compared side by side with the far-superior PlayStation Vita version of the same game. [singlepic id=16332 w=320 h=240 float=right]If you manage to find a camera option that suits you and play enough to train your eye, Star Wars Pinball has some truly great pinball in store. Each of the three tables is packed with objectives to complete. Even after hours of play, there are still many left that I haven’t even consciously pursued. But thanks to the Table Guides, you’re given insight into every last detail of each table, letting you study and strategize as you continue in the endless quest of topping your high score. It wasn’t long before I had regained that forgotten feeling of learning a table – Star Wars Pinball truly took me back. But Zen Studios didn’t stop at triggering nostalgia. They also leverage the advantage of playing on a video console with things that would not be possible on a physical pinball table. Boba Fett will jump from side to side, a light saber can be used as a pinball track, and Darth Vader hovers ominously while using his force powers to destroy the ball. Through the proper sequence of events, you can even be sent to a “sub-table” and play out a minigame to send your score into the stars. It’s vintage pinball injected with new-school ideals, and it totally works. I didn’t realize that I’d missed playing pinball, but Zen Studios did. 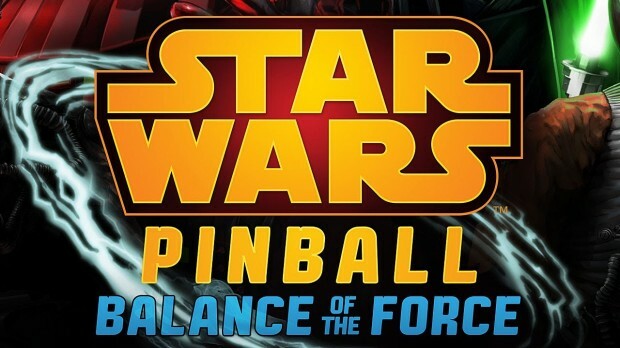 With Star Wars Pinball, they have authentically recreated the experience of standing at a 90s pinball table, joining it with the fantastic Star Wars universe. It deserves to be played, just not on the Nintendo 3DS. Nonfunctional online components are bad, but having trouble seeing a pinball game is debilitating. If you’re craving pinball on the go, it’s tough to beat the paltry $6.99 price tag. But for most, this is not the platform you’re looking for – and that’s no Jedi mind trick.